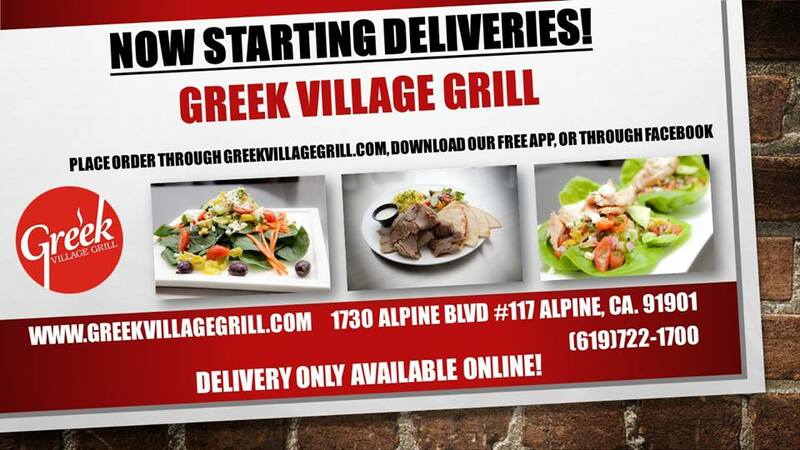 DELIVERY NOW OFFERED at Greek Village Grill in Alpine! 2 comments to DELIVERY NOW OFFERED at Greek Village Grill in Alpine! Can you post a menu please?